Do listen to the sheen‘s rhythm in darkness! Smiles, at its being there! Who went beyond the darkness? Who brought info of radiance? 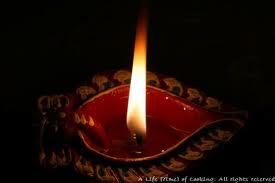 A lamp of hope alone!